Approximately 19 million people have to deal with some form of depression during any given year. Nearly 80 percent of those people will recover from their symptoms if they receive treatment. 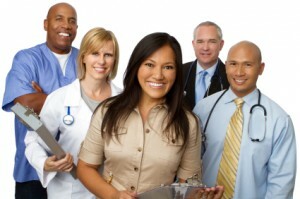 Numerous depression treatments are available. Often the most effective treatment method is a combination of two or more treatments. Treating depression with drugs is a popular course of action for most physicians. Antidepressants are the most popular drugs prescribed for depression patients, but doctors may give patients other drugs as well. Drug treatments are often used in conjunction with other depression remedies. Most doctors prescribe antidepressants for their depression patients, but there are four different types of antidepressants from which doctors can choose. The most popular of these types is the selective serotonin reuptake inhibitor (SSRI) which features Zoloft, Prozac, Paxil, and other drugs traditionally associated with depression therapy. Another type of antidepressant is the Serotonin and norepinephrine reuptake inhibitor (SNRI) which includes newer drugs such as Cymbalta and Effexor. Although Tricyclic antidepressants have somewhat fallen out of favor, doctors may still prescribe Elavil or Tofranil for depression treatment. Monoamine oxidase inhibitors (MAOIs) such as Nardil and Marplan are also still used although they have largely been replaced with SSRIs). Most of these drugs have mild side effects involving nausea, dizziness, and fatigue, although different medications affect individuals in various ways. Those who suffer from Bipolar Disorder or other forms of depression that may involve manias, hallucinations or delusions may take additional drugs to address that part of their depression. Drugs such as Ability and Seroquel help psychotic depression patients deal with the mental aspects of their depression and are often used in conjunction with other drugs and treatments. Anti-psychotic drug treatment has a high success rate. Doctors have numerous psychological therapies from which to choose for their depression patients. These treatments are often used in tandem with drugs and other forms of therapy in order to address all the aspects of an individual patient’s depression. The goal of cognitive behavioral therapy is to help patients replace negative, destructive thinking with positive, healthy thinking. The therapist and patient work together to change the way patients think about and deal with certain issues as well as how they cope with problems. Instead of automatically thinking negatively about a particular action or circumstance, therapists encourage their patients to look at the situation more rationally or positively. Interpersonal therapy is a shorter-term treatment than the other options and focuses on identifiable problems as well as individual interaction with other people. This form of treatment is more highly structured than the other types of psychotherapy and focuses on interpersonal disputes or conflicts, changing circumstances, handling grief, and strained individual relationships. The therapist uses role playing, supportive listening, the encouragement of effect, and communication analysis to help patients modify their approaches to relationships and problem solving. This type of therapy can be done in a one on one therapy session with a therapist or in a support group type environment depending on the patients needs. When most people think about psychotherapy, they probably envision the Freudian shrink talking to a patient stretched out on a couch. Psychodynamic therapy is indeed Freudian-based and deals with the patient’s subconscious mind. During psychodynamic therapy, patients confront suppressed memories and issues and learning to deal with these issues effectively. While the term “shock therapy” most likely conjures up images of Nurse Ratched or Dr. Frankenstein, qualified doctors and medical technicians can perform this type of depression treatment safely and effectively. As with the other types of depression treatments, shock therapy is often used in conjunction with the other forms of treatment. Electroconvulsive Therapy – commonly called ECT for short – is often the therapy of choice for the severest depression sufferers. Those who receive electroconvulsive therapy are often suffering from Bipolar Disorder or other types of depression that involve psychotic symptoms. Doctors attach electrodes on an anesthetized patient’s scalp and send a gentle electric current into the patient’s brain, causing a brief seizure. While many patients might balk at the idea of electroconvulsive therapy, those who are recommended to take it are often at high risk of committing suicide and need the immediate relief of symptoms that electroconvulsive therapy can provide. Meant for those with long-term, recurring depression, vagus nerve stimulation involves implanting a small stimulator under the armpit and attaching to the vagus nerve in the neck. The device then emits electric pulses to stimulate the vagal nerve in the brain. Unlike other forms of shock therapy, transcranial magnetic stimulation is often used on relatively minor cases of depression in which a patient has failed to benefit from an individual antidepressant treatment. Doctors use a precise, magnetic brain-stimulating device to deliver a small magnetic pulse to a specific area of the brain; this precision results in the patient not losing consciousness or suffering from a seizure. While no natural cure-all for depression exists, numerous patients desire to use alternative methods of dealing with anxiety and depression. The medical benefits of many of these remedies is disputed, although most of them are at least harmless to those who use them. Patients should consult their physicians before attempting any of these alternative therapies in order to ascertain that the remedies will not interact negatively with existing medications. Also, alternative natural remedies are recommended only for use by those with mild to moderate depression. Individuals with severe depression often have adverse reactions to natural remedies. 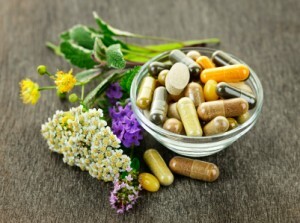 Additionally, some natural herbs and supplements should not be taken with certain prescription drug medications prescribed for certain types of depression. Patients should contact their doctor to discuss the safety of alternative therapies for their individual circumstances. St. John’s wort is often used to treat mild depression, but patients should make sure it does not interfere with their medications. Eating coldwater fish, walnuts, and other foods rich in Omega-3 fatty acids may help reduce depression symptoms. SAMe is a synthetic form of the naturally-occurring S-adenosylmethionine and is approved for depression treatment in Europe but not in the US. Folic acid may also help treat depression although patients should make sure that it does not interfere with current medications. Yoga and meditation are a couple of popular remedies that combine the physical and mental. While not proven to combat depression, many find yoga, meditation, and prayer to help lessen anxiety and sadness. Acupuncture and massage therapy may also ease tension and negative emotions in depression patients. When diagnosed with a specific type of depression, a patient should consult the physician for depression treatments related to that depression variety.